Storey Publishing, LLC, 9780882669854, 176pp. Discover the joys of crafting your own unique and personal perfumes. Nancy Booth shows you how to pinpoint your fragrance preferences and design personalized products for both body and home. Learn how to use herbs, essential oils, natural plant extracts, and alcohol to create one-of-a-kind perfumes, sprays, colognes, and potpourris that not only smell great, but are free of harsh chemicals. With helpful tips on storing, packaging, and even marketing your products, you’ll be inspired to explore the aromatic world of homemade fragrance. 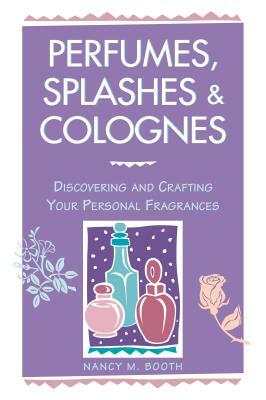 Nancy M. Booth is the author of Perfumes, Splashes & Colognes. She has been selling dried herbs, potpourri, fragrance, essential oils and other similar items internationally since 1980. Booth teaches classes in perfumery and lives in Doylestown, Pennsylvania.